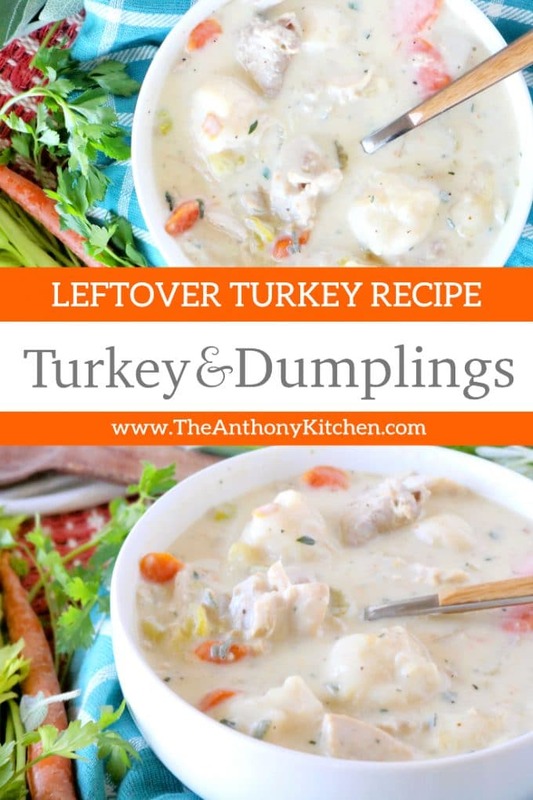 Turkey and dumplings, a recipe featuring leftover turkey, carrots, celery, and homemade dumplings. Chicken and dumplings is a staple down here in the South. A recipe every Southern momma should have locked and loaded under her belt on any given cold and dreary day. However, cold and dreary are certainly not required for making them scrumptious soup. No, it is well-received on just about any occasion, but especially so a day or two after Thanksgiving. Turkey sandwiches, see ya later. When it comes to leftover holiday turkey, we are rolling out the red carpet for Turkey and Dumplings. USING LEFTOVER TURKEY MAKES TURKEY AND DUMPLINGS THAT MUCH EASIER. Turkey and dumplings may come across as difficult to make, but when it comes to soups, this one is pret-ty easy. Especially since we are incorporating leftover Thanksgiving turkey and the protein is already cooked for us. The recipe is simplified even further by the incorporation of drop dumplings, rather than the ones you have to roll out and cut. A process I feel quite sure scares off newbie dumpling makers. 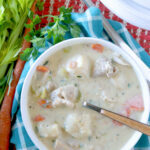 So if ever you have felt hesitant or intimidated by chicken and dumplings, this recipe is a great place to start. To make drop dumplings from scratch, you whisk together a simple dry mix of ingredients (flour, baking powder, and salt), then stir in milk. The end. See how simple that was? The dumpling batter goes into a simmering pot scoop-by-scoop and then cooks through via the broth and the steam created by a covered pot. 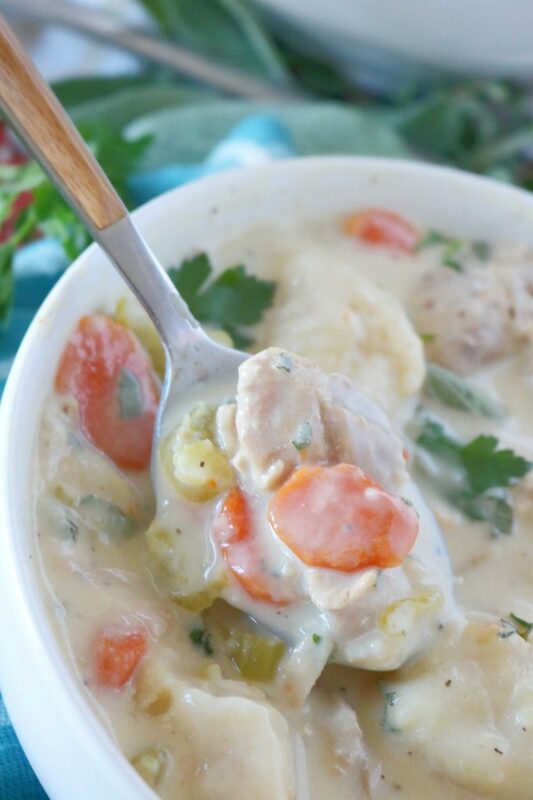 Although turkey and dumplings are the main ingredients, this soup has so much more to offer. Perfectly cooked onion, carrots, and celery add beautiful color and lovely texture to the dish, and fresh herbs like sage and parsley add a note of freshness and flavor intricacy. 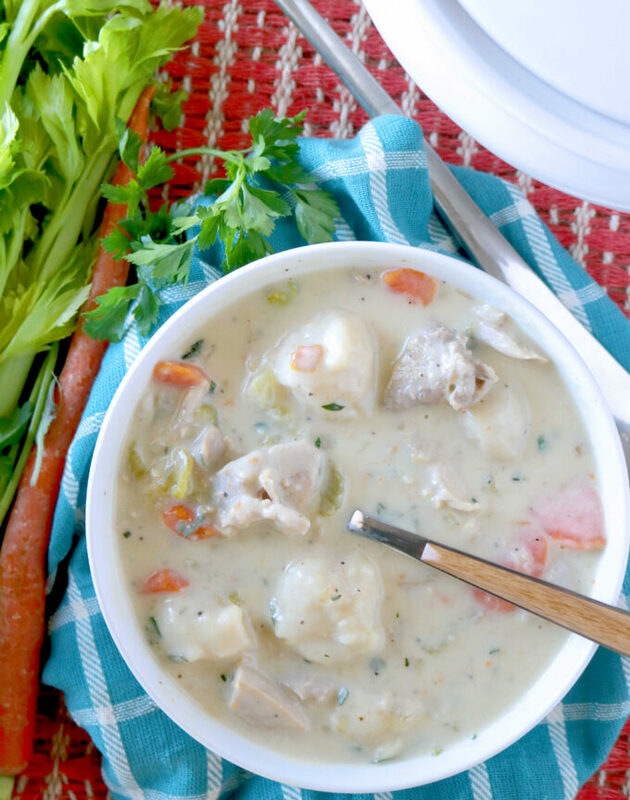 The soup is made dreamy and creamy with a little help from…yup, you guessed it — cream! 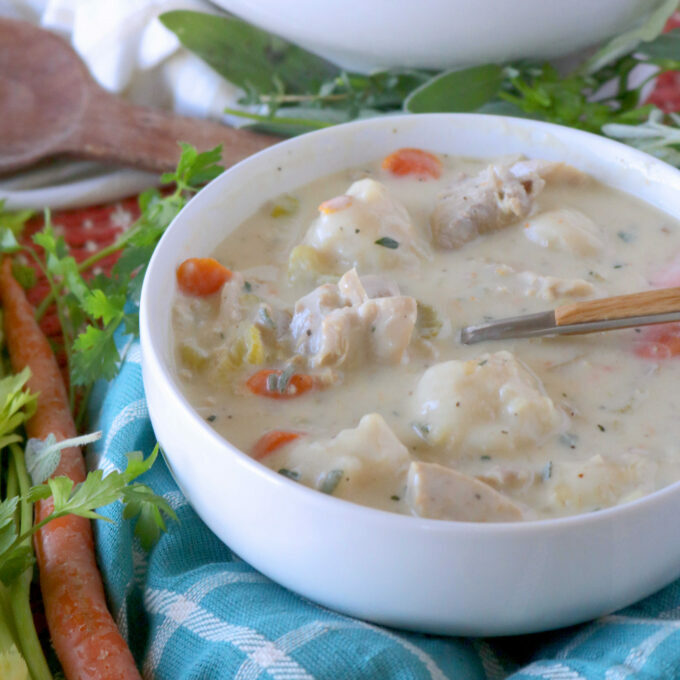 Turkey and dumplings beats the heck out of a cold turkey sandwich and is a great and creative way to stretch those Thanksgiving turkey leftovers. It’s a warm and comforting meal the whole family will love. Simple for you to make, and even easier to devour. Please, enjoy. 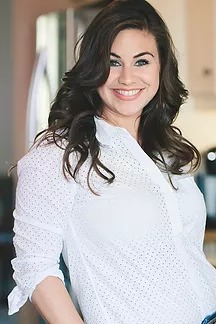 Add canola oil to an enameled cast iron Dutch oven or a large pot over medium heat. Add the celery, carrots, and onions, and stir to coat in oil. Cover the vegetables and allow to cook 8 minutes, lifting the lid to stir occasionally. Add the chicken broth, along with the cooked turkey, salt, and pepper, and allow to come to a simmer. Reduce the heat to maintain a simmer. To make the dumplings, combine flour, baking powder, and salt in a mixing bowl and whisk to combine. Pour in the milk and stir with a wooden spoon to combine. Knead gently if necessary to bring the dough together. Scoop a tablespoon of dough at time into the simmering soup. Once all of the dumplings have been added, stir and cover the pot. Allow to simmer about 15 minutes, until the dumplings have cooked through. Once the dumplings have finished cooking, remove from the heat, stir in the cream and fresh herbs, if using. Serve and enjoy.